Girls U8 (P3+4) and U10 (P5+6) take part in their first blitz of the year on Saturday. We shall leave Beragh football field at 9:45am to be in Dunmoyle at 10am! Can we encourage as many parents to accompany their child. Many thanks. Our U10 boys had a blitz in Carrickmore last Saturday. They played Donaghmore, Carrickmore and Errigal Ciaran. All games were competivive and some great skills shown in poor conditions. All 16 boys in attendance gave a great account of them selves. Training continues on Wednesday evening from 6:30-7:30pm and Saturday from 10am – 11:15am, full attendence would encourged to build on what promises to be a successful team. Also we wish a speedy recovery to Shea Colton who was playing brillianty before getting injured. Our Annual Paddy Bogan Primary Schools’ Tournament 2017 will take place on Friday 9th June. 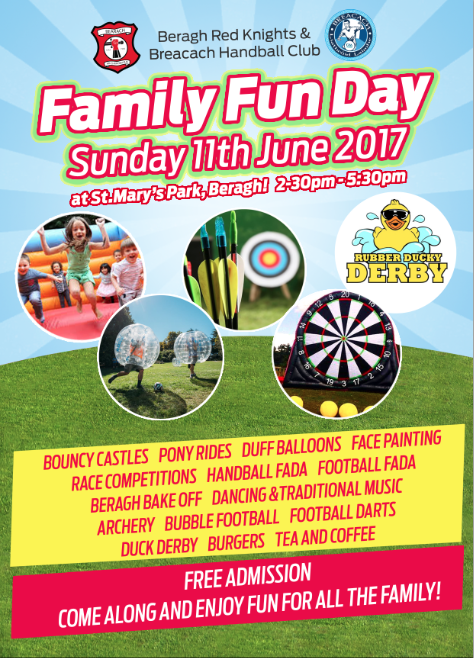 Family Fun Day – Sunday 11th June! Our Duck Derby sheets are in circulation this weekend. We ask if each family can sell 10 Ducks and return them back to any of the coaches before Saturday 3rd June. 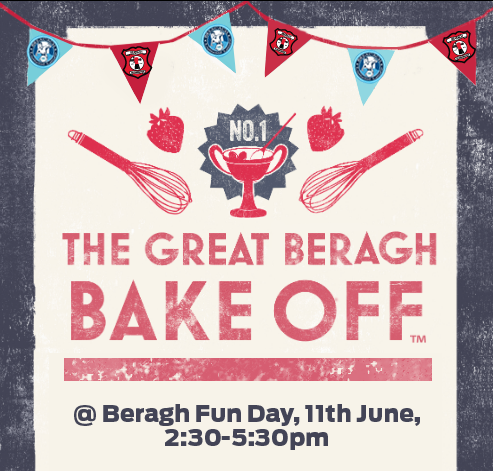 We appreciate your support with this, and hope you can join us for our Family Fun Day on 11th June for all ages. Join us for another Historical talk, this time, we commemorate the life of Fr Mac Niallais, who was in Beragh Parish in 1916. The event will be on Saturday 24th June 2017 at 6pm. Please note that the late registration fee of £5 applies to bookings made after the 30th June. 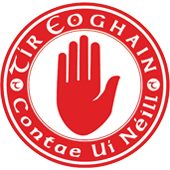 All children will receive a Club Tyrone kit and backpack. The numbers drawn in our Four Star Lotto draw were 4, 6, 18 and 29. Roisin McNelis and Colleen Heaney matched 3 numbers and wins £50. 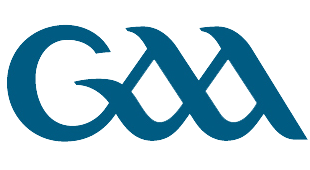 Next week’s draw will take place on Sunday at 10pm in Heaney’s. Jackpot – £1,350. Lotto helper is Michael Montague. Club mattersThis week Barry Conroy is on pavilion duty.